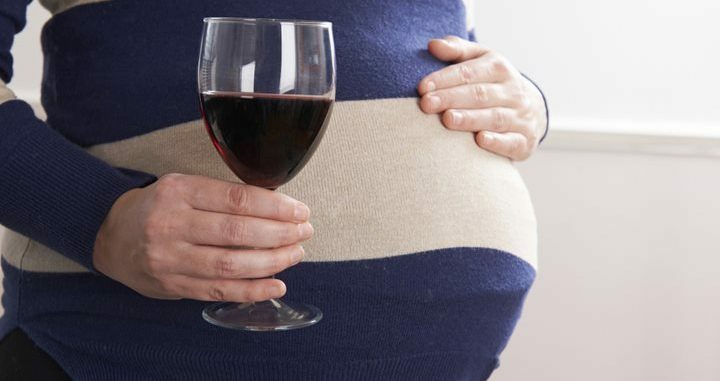 Drinking alcohol while pregnant is a risk that may cause Fetal Alcohol Syndrome (FAS) to develop in the unborn child. There is no guarantee that FAS will happen, but it can. The symptoms of FAS can be assessed not only at birth but also at any point in the life of the child. It is that significant. Typically FAS manifests as heights and weights that are below average, brain damage and facial features due to brain damage common to the condition. The Mayo Clinic indicates that up to 40,000 babies are born each year in the US with damage caused by the mother consuming alcohol. Along with brain damage an FAS child may have mental retardation, behavioral issues, a smaller than normal head and brain size, slow growth, deformities, sight and hearing problems, and heart defects that could have been avoided if the mother avoided drinking alcohol while pregnant. The Surgeon General of the United States in the “Advisory on Alcohol Use in Pregnancy” urges women who are pregnant or who may become pregnant to abstain from alcohol. It is important not only for women who know they are pregnant but also for women who could possibly become pregnant due to FAS damage developing in the unborn child before a women may know she is pregnant. However, drinking while pregnant is still in high numbers among US women. It is possible that well-documented medical research is being ignored because of the statements of mothers who are friends or relatives. Some proclaim that they participated in drinking while pregnant with no discernible negative impact on their child. To some mothers-to-be they may not see stark evidence of FAS in a child whose mother said she drank while pregnant, and the child may have been fortunate to have escaped FAS. The issue is that there is no known safe amount of alcohol for a woman to consume while pregnant. Absolute abstinence for women who are pregnant or who can become pregnant guarantees that their child will not develop FAS. If a mother-to-be is an alcoholic, she cannot or will not stop drinking even though she knows she is pregnant. It is of vital importance to advise one’s healthcare provider. Waiting to “see what may happen” is not the route to take. Seek help to prevent problems from developing in the first place. If a doctor knows that the mother is consuming or has consumed alcohol while pregnant, he knows more of what to watch out for. Also, do not assume for a moment that since some alcohol was consumed early in the pregnancy that it is too late to do anything, so it is okay to go ahead and drink. If a woman finds out she is pregnant after having consumed alcohol, it is never too late to quit. For each drink consumed, there is a risk, so conversely each drink not consumed removes some of the risk. It is not safe to just cut back on the amount of alcohol consumed. Consuming no alcohol equals no possibility of FAS developing since it is caused by alcohol. However, less alcohol for those who cannot quit may be of some benefit. There is simply no guarantee. For women who do drink it is important to stop as soon as they suspect they could possibly be pregnant. Do not wait for confirmation. Stop immediately. If a woman is actively attempting to become pregnant, she should abstain from all alcohol. For those who are pregnant and cannot or will not quit drinking, please seek help to minimize the risks to the baby.